Indigo Eco Slim Leg Jeans With COOLMAX® is rated 4.5 out of 5 by 4. Stay cool in your denim this season with our new denim range with COOLMAX® ECOMADE fibre. This innovative range of denim is designed to move moisture away from the skin to help keep you feeling cool and dry. With the COOLMAX® ECOMADE fibre made from 97% recycled bottles, there is also a reduced environmental impact in every wear of the jeans. These are your staple summer jeans! COOLMAX® is a trademark of THE LYCRA COMPANY. 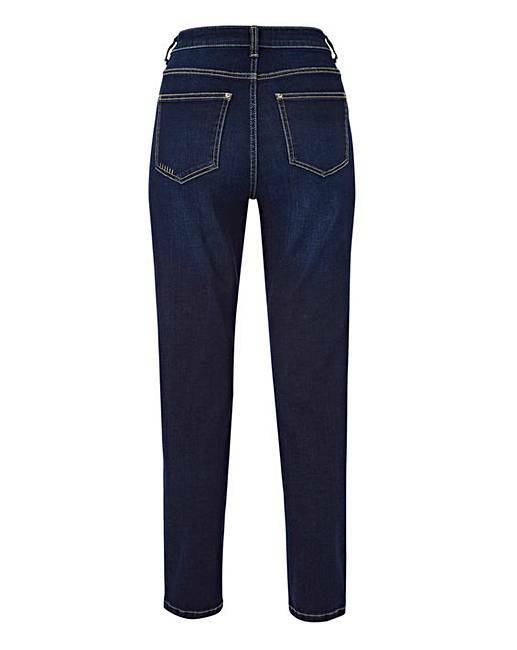 Rated 3 out of 5 by Allezoop from Not for me These jeans get great reviews, they are a good price and it is good to see summer weight jeans on sale in this country. 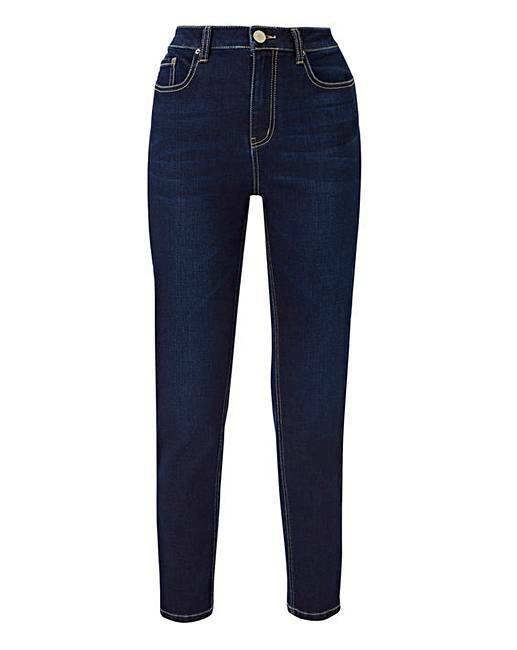 The denim is very nice, the length was perfect on me and I really liked the leg shape. What I disliked was the rise (high rise on me which I hate) and the waist was uncomfortably tight. Oddly enough, I tried an 18 and a 20 - and they both fitted - but the waist was too tight on both pairs. For the record I am pretty well proportioned and usually a size 18 in jeans. Would I recommend these? Yes, if you have a very well defined waist! Rated 5 out of 5 by beck from So Comfy Amazing quality, plenty of stretch, super comfy, works with you.Wish they did more colours, i would buy them all. Rated 5 out of 5 by Missbabs66 from Fantastic Jeans! I purchased these after wondering if they might be too slim a fit on first look. I am so glad now that I did. From the minute I got them half way up my legs I just knew they were going to be a perfect fit and they were! I am normally between sizes 16-18 often going up to the larger of the two sizes for comfort across the tummy and thighs but while losing some of the shape of the smaller size around my knees and ankles. I ordered a size 18 in these and they are perfect. The stretch and quality of the jeans are excellent and they feel like a second skin and very lightweight although being well structured and they look great and wash well. 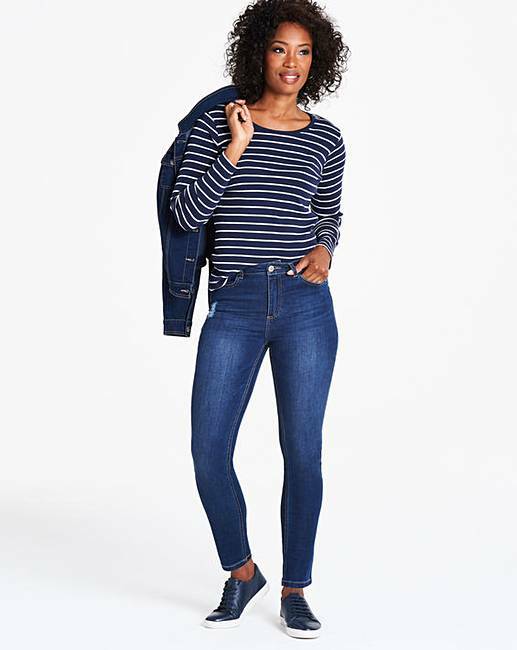 They are great jeans for any age group and because the fit is so good and they are very flattering across the stomach and thighs so are perfect for shorter tops as well. 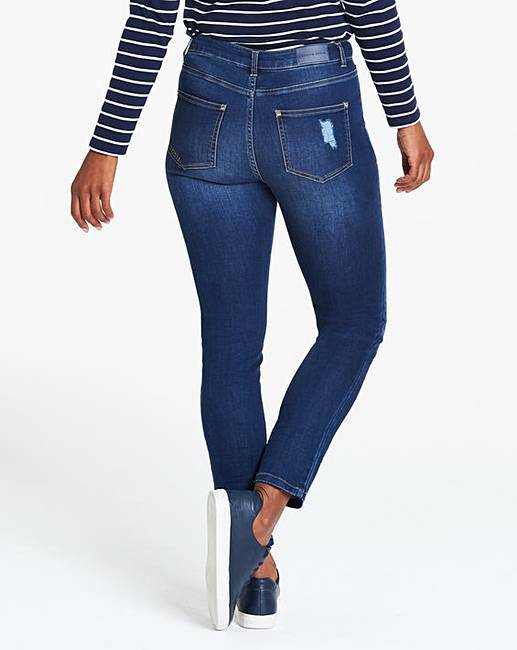 Ive always purchased the Sadie jeans because they fit so well and are flattering however these jeans have another level of stretch in them which makes them very near perfect. If you are in between sizes I would order the larger size of the two. Curently Considering whether to purchase another pair or wait until they go into the Sale. Rated 5 out of 5 by Hels from Love them! Definitely have kept me cooler during warmer weather!